When Sigma launched their 50mm f1.4, it was heavily praised over the likes of Canon’s offerings. But with the company’s new Global Vision ideology, it was only a matter of time before the company decided to refresh the lens. 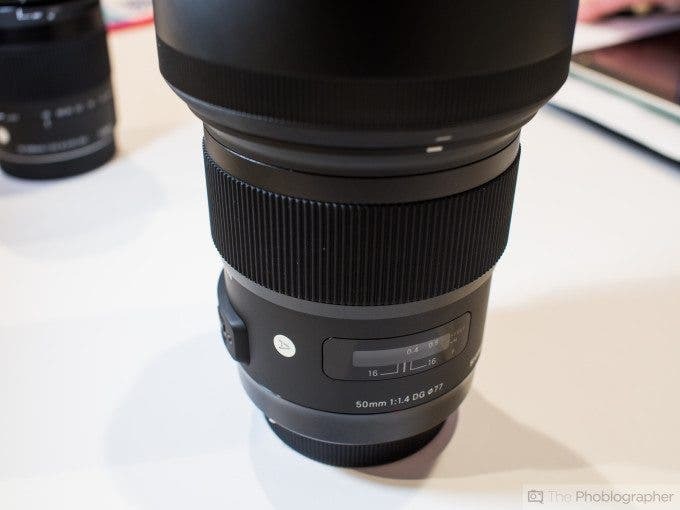 Indeed, Sigma’s new vision of how a 50mm should be is quite different from how they previously thought. And we mean that in many different ways. Sigma’s 50mm f1.4 II, first and foremost, is dominated by a matte finish much like the 35mm f1.4. 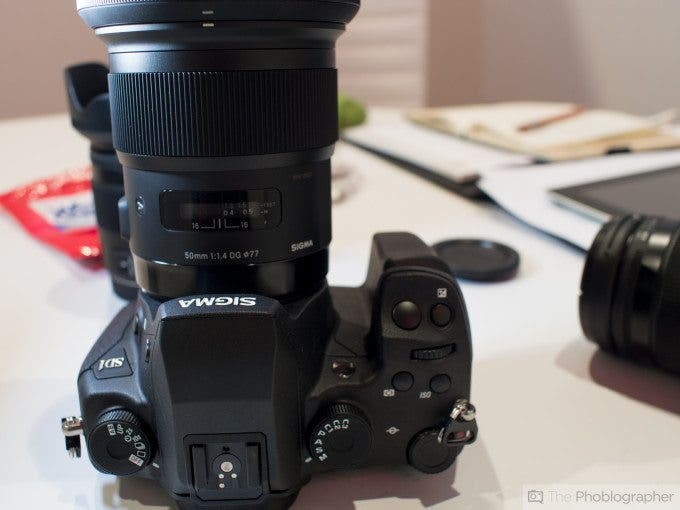 The feeling is quite nice–significantly better than on their previous 50mm f1.4. But that matte finish only takes up small bits and portions of the lens’ exterior overall. What you should know is that most of the exterior of the new 50mm f1.4 is dominated by the focusing ring. This rubberized ring feels just as great as the 35mm f1.4’s. Then there is also the focusing scale. In all honesty, you probably won’t even be using this so we’re not sure why Sigma put it on there except for judging focusing accuracy perhaps. What you should also know is that the lens has a fairly massive lens hood. This makes the overall package seem larger than it really is. In truth, it’s probably just a tad larger than the company’s 35mm f1.4 offering. 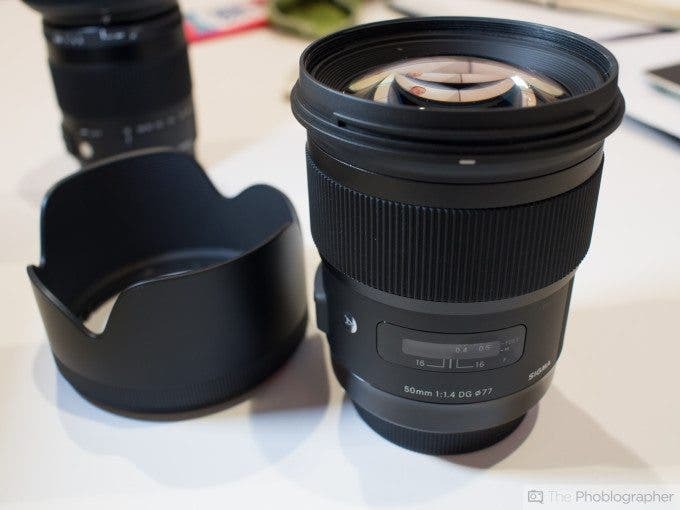 Imagine the Sigma 35mm f1.4 or the older 50mm f1.4, and then imagine it being heavier and longer. If Zeiss made a DSLR with autofocus, this is what it would be. In the hand, the Sigma 50mm f1.4 is heavy, beefy, and feels like the optic that I want mated to my camera for life. Speaking of which, that only gets better once you mount the lens to the camera. We tried it on a Sigma SD1, and the balance is phenomenal. While I’m personally a man to reach more for a 35mm focal length, I’d consider working with this lens more often. When we used the pre-production model with the Sigma SD1, the focusing seemed to be quick. That’s a great thing to know considering how many lens elements it contains and just how heavy the lens is. To be fair, this lens isn’t so heavy that you’ll break down in tears after a hard day of shooting–you wimp! 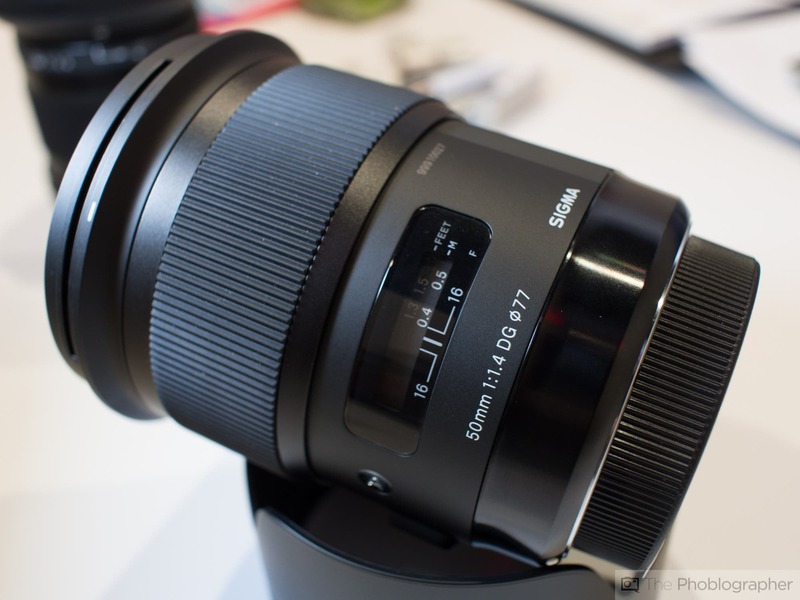 Like Sigma’s 85mm and 35mm lenses, the company decided to not put an effective depth of field scale on the lens. Because of this, it is best used in autofocus mode. If you use it this way, it’s as easy as point, shoot, and enjoy. Unfortunately, the unit that we saw in our meeting at CES 2014 was a pre-production model. So we couldn’t take photos with it to bring back for this first impressions post. But considering how good their recent products are, we’re positive that this is a lens that’s going to be winning awards left and right this year. 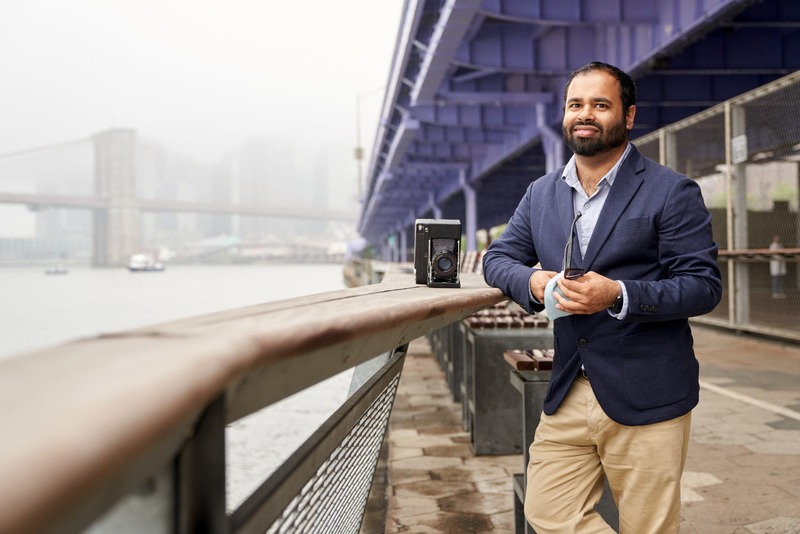 While we typically get only around 10 or 20 minutes with lenses and products, we took a good 45 minutes to spend with the Sigma 50mm f1.4 II. Each time I held it, turned the focusing ring, and felt the finish, it felt like I was coming home to something good. The lens just feels right. We’ve already called in a review unit, but it won’t be coming in for a while. Stay tuned though, because we’ve got some incredibly high hopes for this one. Does it seem worth the upgrade? To be honest, it seems like a completely different lens so far.